Brightstar Baltimore City/County Awarded for Excellent Performance | BrightStar Care " "
We are proud to announce that BrightStar Baltimore City/County just won the 2016 award for National Accounts. This is based on our quality of care, customer service and feedback from both patients and referral sources. 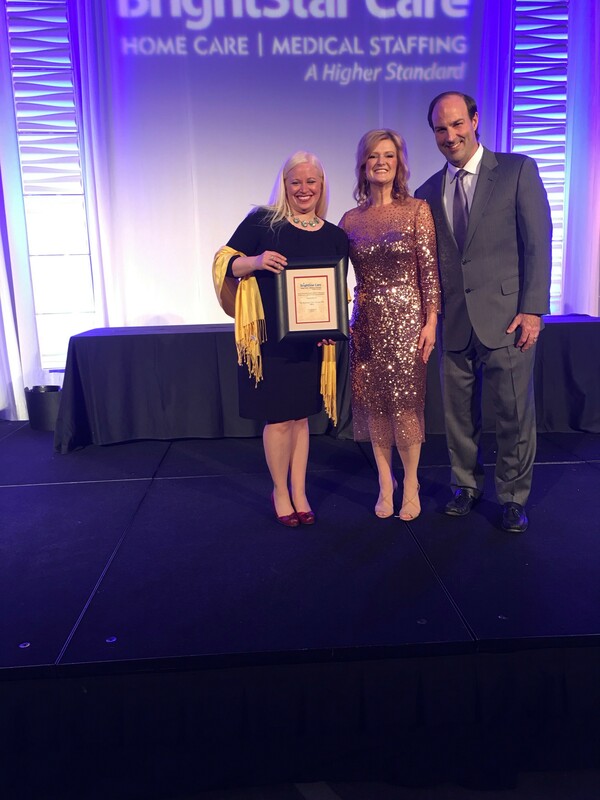 Heidi Stevenson, BrightStar Baltimore City/County Branch Manager is pictured accepting the award from BrightStar CEO, Shelly Sun and Chief Operating Officer Tom Gilday at the 2016 Branch Leadership Conference.